Popeye would be delighted to come here because the creamed spinach is SO GOOD. We decided to go "healthy" by ordering the Creamed Spinach ($9), only to realize upon serving that the portion was extremely huge (equivalent to nearly two bowls of rice). However, we had no problem finishing it with the in-house bread because it was so delish, as if we were having cream-based pasta without the carbs. The greens were cooked to the perfect softness, not too mushy, mixed with cream of just the right amount and consistency. The Nicoise Tuna Salad ($22) is many times more expensive than an average salad but the premium ingredients used justify the cost. The seared tuna was dabbled in some mild spices that were neutralized with the tart lemon vinaigrette and savoury olives. The cakes from the pastry boutique surprised us because it was much more affordable than the average price of the cakes outside. My friend enjoyed the New York Cheesecake, which was gratifyingly dense like an authentic version. 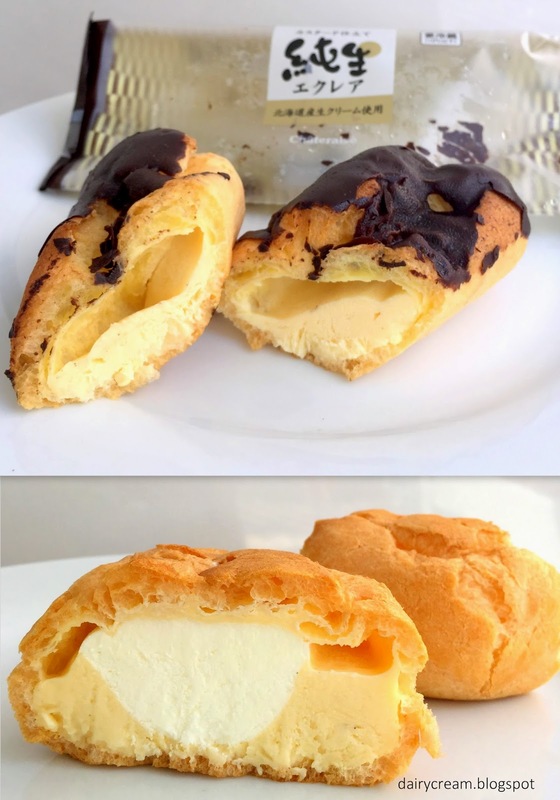 I prefer the Mango Tart ($6) and the Passionfruit Eclair ($6), which are both refreshingly light and savvy sweets that chased away any working blues. Next time when you are craving for a plate of chicken rice, why not head to Crown Bakery to try its signature Hainanese Chicken Bread? Made with chicken soup, skinless chicken thigh, garlic, ginger, shallots and lemongrass and French mill wheat flour, this loaf is truly a brilliant rendition of our local dish especially when you dip some into the garlicky chilli sauce. Devoting its heart and soul into sourdough and natural leaven bread without any artificial preservatives, coloring or additives, Crown Bakery is committed to crafting artisanal loaves that caters to customers who are treated as royalty at its French-inspired retail shop. One of my favourites is the Kaori Ciabatta ($4), a masterful hybrid of European and Japanese bread with its light, crusty facet yet highly stretchable mochi-like interior. Created by Niigata-born Master Baker Katsugei Shiga, owner-chef of Signifiant Signifie in Tokyo with more than 40 years of baking experience, the Kaori Ciabatta counts as one of the "Japanese" breads including Soy Kinako Loaf ($4.80 for full/$2.70 for half), Shizuoka Matcha Brioche ($3.20), Earl Grey Cashew Brioche ($3). You can spot ingredients on the label tag such as Hokkaido Kitanokaori flour, Japan wheat flour and Shizuoka matcha powder. 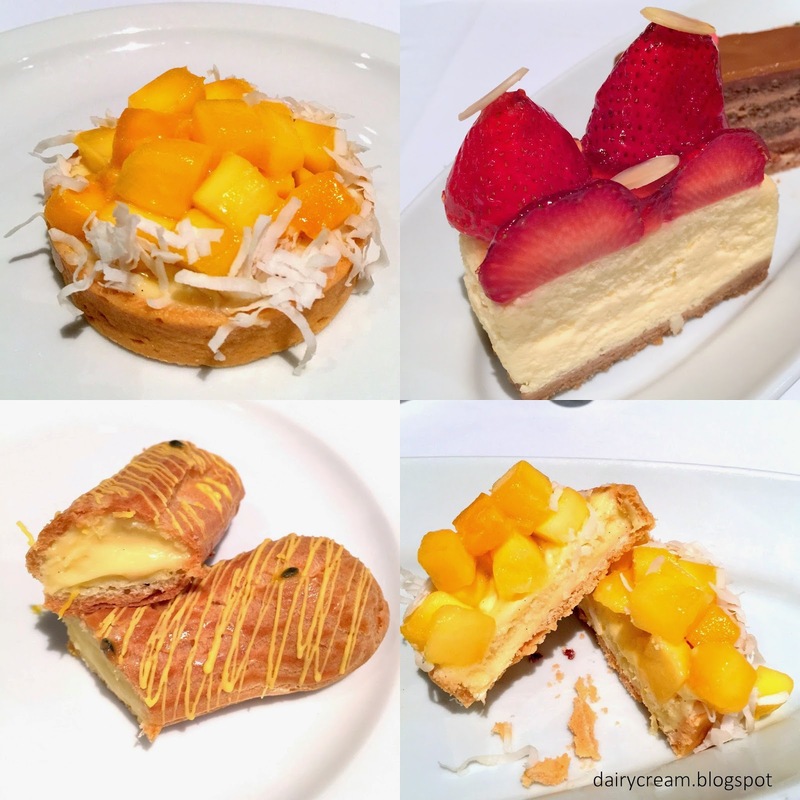 NY Gramercy: Depato (department store) Cakes, Anyone? NY Gramercy does not refer to the famous street in NY but a Japanese-company-run cake shop that is located at some selected department stores like Takashimaya. I seldom patronize these kind of shops with many outlets as the quality is usually average. However, after giving this shop a try, I was impressed by the pillowy and moist texture of the sponge components and that was kept amazingly consistent across all the cakes. 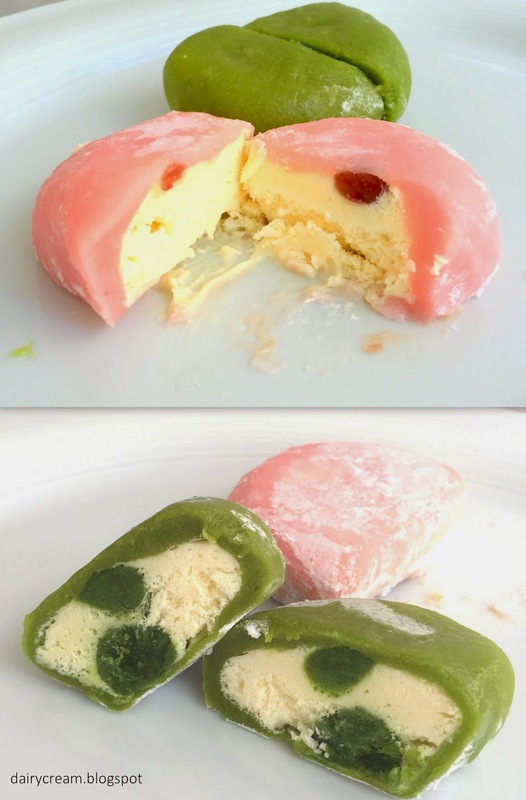 Kept within the price range is between ¥500-¥700, these sweets won't really burn a hole too much as they are generally larger than the independent patisseries and not too heavy on mousse--appealing to those who prefer the traditional light Japanese cakes. Another of the memorable matcha cakes that is available without having to travel far to certain shops. My favourite item here as there is an almost full-bodied matcha taste that complemented the rest of the components. This is unlike those dense fudged version but two cakey chocolate sponge studded with rum raisins. The concept is simple but to transform a rustic homemade treat into such elegant form is not definitely not in everyone's ability. Thanks to my good friend Pearlyn’s recommendation, I could indulge in the premium Wagyu beef without breaking my wallet. Ootsuka is a very exclusively hidden place situated in the quiet residential estates about 20-25minutes walk away from Kyofuku Line Arashiyama Station. Ootsuka is not listed on most guidebooks, which would name several tofu restaurants instead when it comes to gourmet in Arashiyama. 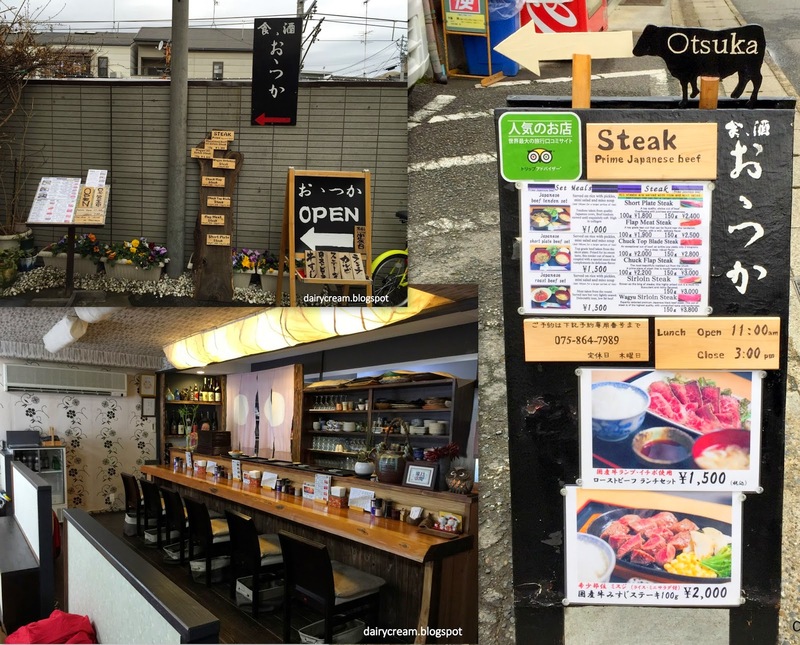 That said, Ootsuka was rated the No.1 popular restaurant on tripadvisor japan. With just three family tables and 5 counter table seats, this place can become crowded during peak hours and thus it is best to place a reservation to avoid disappointment. Lunch sets start from a super reasonable price of 1000 yen and would not exceed 5800 yen for the most expensive dish-- 150g of Murasawa A5 Wagyu Steak that comes in a set with rice, soup and salad. From the teishoku section, my favourite was the Roast Beef Rice Bowl (1500 yen) that boasted an alluring pink as the meat is only treated with a light sear and retained a soft chewiness. Some people might find this a bit raw but it was not too lean. See top pic for close up shot of this bowl of deliciousness! The Beef Tendon (1000 yen) looked quite dry at first but I was surprised by that the meat was interspersed with fats that disintegrated in my mouth without any chewing. This is quite good for people who are not huge fans of beef because there are other ingredients such as eggs and tofu. For a more satisfying meat experience, go for the Roast Beef or this Japanese short plate beef set (1500 yen) where the rice grains soaked up some of the mildly sweet sauce and natural oil/juices that seeped from the beef atop. All the steaks are served on sizzling hot plates in two sizes; 100g and 150g. Just get the 150g because they are so good you’ll be crying for more if there was only 100g. Besides the prime Japanese Beef that is used for most dishes, the chef-owner also uses A4 grade Kuroge (Black Hair) Wagyu and Murasawa Wagyu. The Murasawa might not be as popular as Kobe or Matsuzaka Beef but the marbling of fats and lean meat met my ideal proportion. They are soft, tender but not too greasy as if you were swallowing a whole cube of butter. In fact, the chuck flap steak is already a decently good cut at 3000 yen for 150g or 2200 yen for 100g. Those who don’t wish to invest too much money can opt for this without getting short-changed for the quality. I can’t tell which cut is which now from the pictures I took but it doesn’t really matter because everything is good. "Fine blonde Angel-hair noodles with a gentle spring and crunch". I could not forget these words as I read Tony's (@ johorkaki) about this wanton mee stall at Holland Drive. I actually had a wanton meeting with my friend Kerri who is a lover of wanton mee but it had been postponed for too long because of the busy schedules. Alas, we made our trip here, under the mercy of 35 degrees weather. eXcafe might sound like a hipster cafe but it is exactly the opposite. 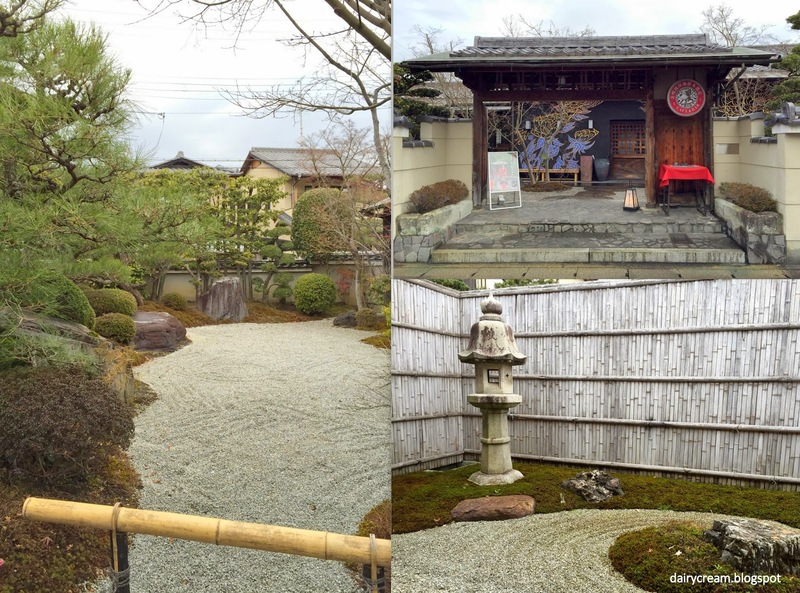 Housed in a old Japanese mansion with a beautiful 140-ha Zen garden, ExCafe is an exclusive Japanese Wa cafe located away from the main commercial streets of Arashiyama. There is undoubtedly some gentrification going on here but the food is backed by solid cooking. The Tea Soba Carbonara (¥1060)is the BEST Carbonara pasta I've ever had in my life. I don't really care whether cream was used as long as it tasted good. This was the perfect plate of pasta that I have longed search for; the salt, the earthy matcha soba, the cheese, the premium rich egg from "Tamagoya" of Saga Kyoto (「京都嵯峨 たまごや」の「特別濃厚卵」. The aromatic sauce is rich, flavourful and in the golden consistency that coated every strand of noodle. 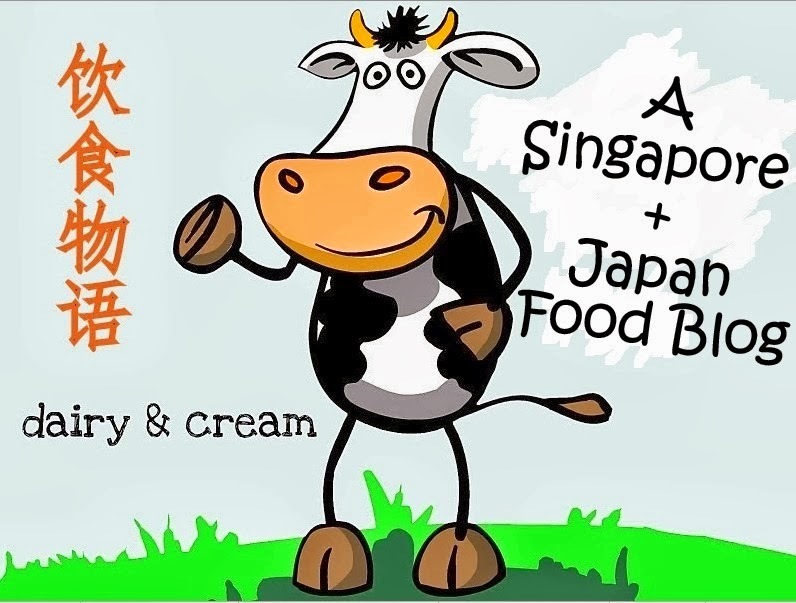 Some people may think that food in Japan tends to be better in Singapore. True most of the time but there are plenty of exceptions too. Having been to Gontran Cherrier's boulangerie in both Singapore and Tokyo, I must say that Singaporeans are luckier because the selection of the tarts and cakes are far more extensive in Singapore at Tiong Bahru Bakery (at least twice the number). Recently, it has introduced 8 new French pastries to the existing selection which are authentic and truly traditional classics. From fruit tarts to eclairs, these are the fundamental items that a pastry student would learn at any French culinary school. And my first bite at the Paris Brest (my all-time favourite) tells me that the rest of the pastries are going to be a solid display of the finesse. Oriole Coffee + Bar has undergone a rebranding back in October 2014. Everything from the cafe's interior to the coffee and food menu has been given a makeover to deliver a more wholesome dining experience. You won't believe how yummy this plate of black rice is. Tossed with smoky lap Cheong (Chinese sausages) and shredded chili, the Fried Wild Rice ($11) tasted just like the crispy burnt rice that we scraped off desperately at the last from claypot rice. But now we don't have to save the best thing for the last and can dive in straight into this aromatic flavorful bowl of crunchy gains that are quarantined from any unpleasant bitterness. Best of all, they bind together nicely with a shy ingredient that chose to hide its glamour beneath the pile of rice —Onsen Egg. More than just mothers, babies and kids, I think Motherswork is a place for nurturing the family. That was thought that flashed across my mind as I walked through the Great World City outlet or Motherswork, a premium Singapore-headquartered retail store with overseas presence in Beijing, Shanghai and Chengdu. From baby carriages to play toys for toddlers, Motherswork stocks up an impressive array of high quality products from established European and Scandinavian brands. House at Dempsey : NEW Savoury Menu with Vegan Options! Some people might still scoffed off at the idea of meatless dishes but I think one reason is because they haven't been to House at Dempsey. This eight-year-old cafe has spruced up its menu with a healthy mix of vegetarian dishes, including some vegan friendly options. One good example is this Lean Green Pasta ($22), a bed of al dente fusilli topped with Asian pesto and plenty of vegetables such as sugar snaps, French beans, asparagus and Broccoli. The vibrant green hues kept me at peace and the dish tasted is as wholesomely delicious as it looked. I was sad that they didn't sell my favourite plain soba with sesame dip. But there is something more interesting to eat--the Horai Soba. 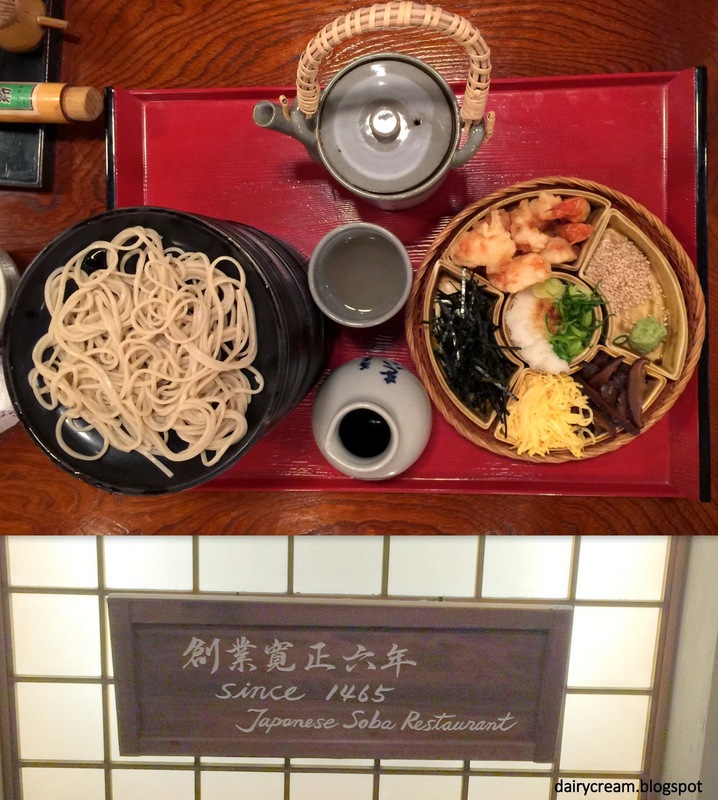 This 550-year old establishment (since 1465) is the oldest soba restaurant in Kyoto. But it didn't started as a soba house right from the start. It began selling soba rice cakes as a traditional confectionery shop after moving from Owariya to Kyoto. The outlet that we went was ironically located right below the noisiest and most commercialized street in Kyoto. As we took the stairs down to the basement, we could see the wooden scribblings "Est. in 1465" on the ceiling. To be honest, the years of establishment no longer seemed to be a main drawing factor given that there are countless number of companies above 100 years old in Japan (not including food but also manufacturing, crafts, etc.) Still, the number 1465 (Kansei 6) holds me in awe and respect of this humble soba-ya. It is difficult to avoid the word “matcha” when one is traveling in Kyoto. All the tourist commodities are replete with matcha related items and matcha parfaits are probably one of the most common dessert you can find anywhere in Kyoto. I was getting bored of all the green tea parfaits and decided to head to Fukujuen since it has quite a unique dessert menu that plays around with green tea. In fact, I never thought much about Fukujuen until I visited their French tea kaiseki restaurant in Tokyo. Fukujuen is one of the most respected and oldest tea merchants in Kyoto since 1790. It's main factory is located in Uji city and there is also a unique Fukujuen CHA Experience Park in Kizugawa City, southern of Kyoto. Fukujuen occupies a 6th__storey building in the central shopping district of Kyoto along Shijo-dori and every level is dedicated to a different concept—tea drinking; tea-infused French cuisine; matcha classroom—but the 2nd floor is for Japanese style sweets.